The OnePlus 7 is expected to be announced sometime next month. Traditionally, the smartphone brand which formerly is known for its “flagship killer” releases two models per year. In each release, they usually introduce one model that comes with multiple RAM and storage options. For the upcoming OnePlus 7, it appears that they are releasing up to three different models. Apart from the normal OnePlus 7, it seems like there will be a higher spec OnePlus 7 Pro model. While it is safe to assume that all variants will get the top of the line Snapdragon 855 unit, it is speculated that OnePlus might adopt a similar strategy as Samsung and Apple by releasing different screen sizes. 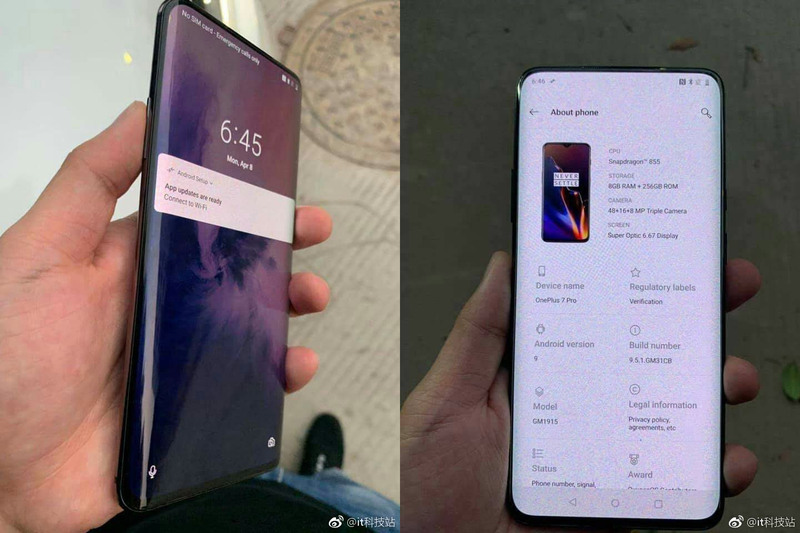 According to purported leaked images on Weibo, the OnePlus 7 Pro is spotted running on a Snapdragon 855 processor with 8GB RAM and 256GB of storage. 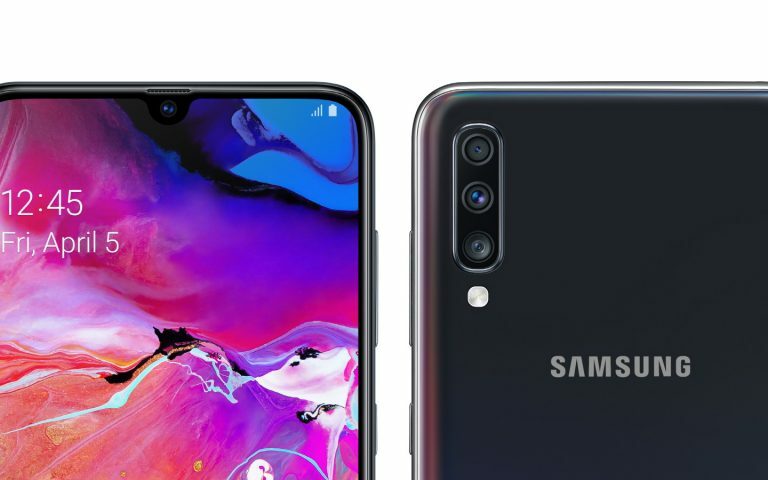 It also features a dual-curved display with no notches, and this design matches the earlier renders provided by @onleaks. 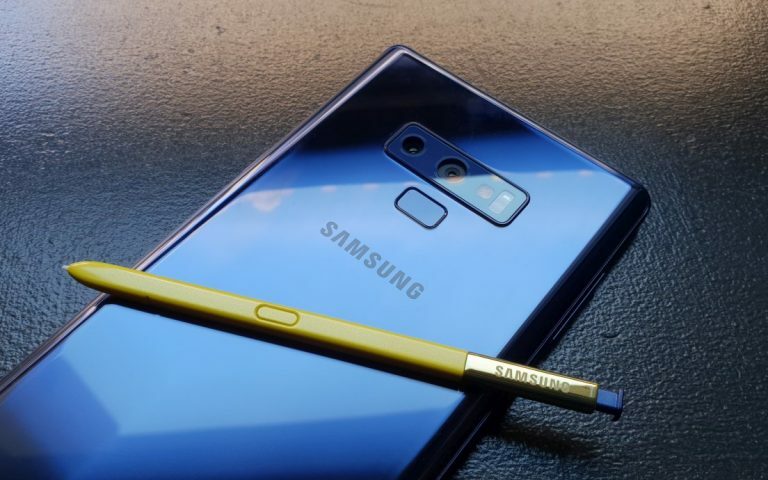 The screen is listed to be a 6.67″ Super Optic display, which is significantly larger than the current OnePlus 6T’s 6.41″ display. 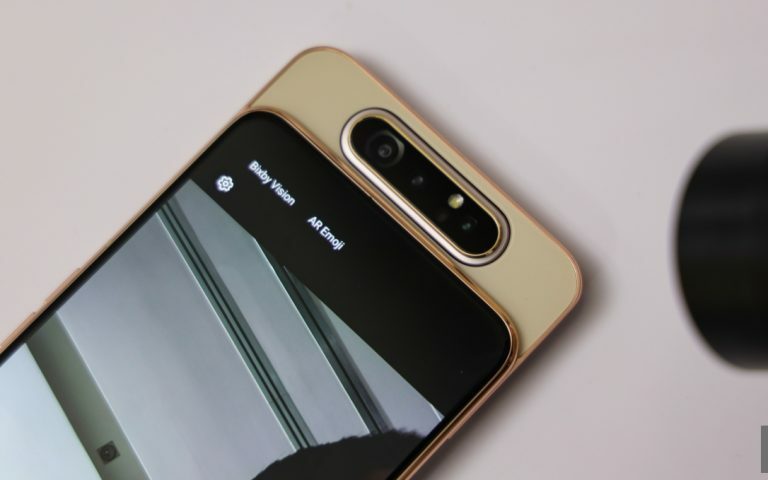 In terms of cameras, it is listed with a 48MP + 16MP + 8MP triple-camera combo, which is likely to offer both ultra-wide-angle and telephoto lens. If the OnePlus 7 Pro is too huge, it is likely that OnePlus will retain a smaller non-pro version. We are guessing that the display for the normal OnePlus 7 would be 6.5″ or smaller with a flat screen panel. Since OnePlus wants to release the first commercial 5G smartphone in Europe, you can also expect a OnePlus 7 5G edition as well. Leakster @ishanagarwal24 has dropped a couple of model numbers for the OnePlus 7 variants. According to him, the standard OnePlus 7 will carry the model numbers GM1901, GM1903, GM1905, while the OnePlus 7 Pro variant will be labelled with the model number GM1911, GM1913, GM1915 and GM1917. Meanwhile, the 5G variant is speculated to come with the model number GM1920. From what we know, the next OnePlus flagship will feature a pop-up selfie camera since it has a new edge to edge display. The device will also feature an in-display fingerprint sensor and it is speculated to come with a larger 4,150mAh battery. In terms of charging, you can expect OnePlus to bundle a 30W Warp Charger that was introduced with its OnePlus 6T McLaren Edition.